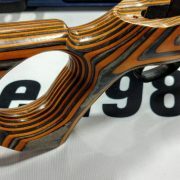 It was on Tuesday, January 22nd that The Firearm Blog broke the news of a NEW Boyds At-One Adjustable Thumbhole stock. The Press Release directly from Boyds clued us all in on the new gun stocks that would be immediately available for 2019, but it is always better to check them out in person… So we […] Read More … The post [SHOT 2019] Closer Look at the NEW Boyds At-One Adjustable Thumbhole Stock appeared first on The Firearm Blog. What will February 28th mean? [SHOT Show 2019] Bond Arms Makes the Thinnest 9mm Ever? In this episode of TFBTV, James Reeves talks with Garrett of Bond Arms about the thinnest 9mm ever, a new, ultralight Bond Arms Derringer. ««« PATREON GIVEAWAYS »»» Go to http://tfbtv.gun.team for details on our monthly gun giveaway. 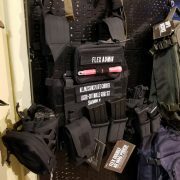 TFBTV is giving away one gun a month to a randomly selected $5-level (and higher) Patreon supporter. 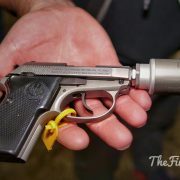 […] Read More … The post [SHOT Show 2019] Bond Arms Makes the Thinnest 9mm Ever? appeared first on The Firearm Blog. I watched a whole season of this show today. I do not know if it was any good, but I really engaged with some of the charecters, and some of the thematic elements. Plus, it happens in the Austrailian outback, so I was channelling the heat. The Polish Ministry of Defense has announced that they will to co-finance the renovation of existing Shooting Ranges, and the building of new ones. The aim seems to be to increase the organized shooting trainings for young people as well as members of pro-defense organizations and soldiers of the Armed Forces. 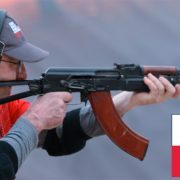 Quoted from the announcement: […] Read More … The post Polish Ministry of Defense to co-finance new Shooting Ranges appeared first on The Firearm Blog. Fire Control Unit is the name of the company that made a PDW chassis for the P320 FCU. 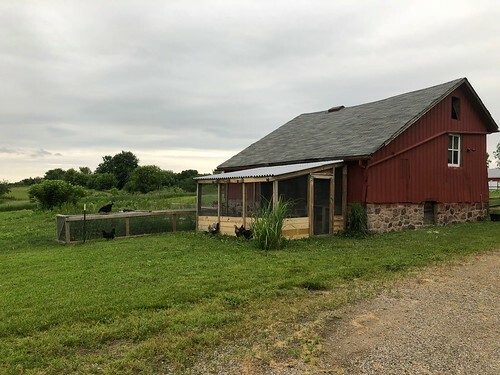 Check out Pete’s review if you don’t know what I am talking about. Fire Control Unit capitalized on the modularity of the Sig Sauer P320 since the FCU or trigger pack is the serialized firearm they took […] Read More … The post [SHOT 2019] Fire Control Unit’s X03 – A P320 FCU based AR-15 appeared first on The Firearm Blog. Good evening everyone and welcome back to TFB’s Silencer Saturday… Wait, that’s not right, my brain must be mush from SHOT. With our our winning team of writers and videographers who pulled long days, interviewing hundreds of companies and writing thousands of words, I was lucky enough to be able to focus on a just […] Read More … The post [SHOT 2019] TINY Thompson Machine Suppressors (Larger Ones Too) appeared first on The Firearm Blog. Due to the weather on the east coast a majority of the SB Tactical team had their flights delayed and or canceled. While the HKPDW brace was at their booth, their prototype SBA4 was stuck on the east coast. 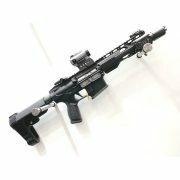 Fortunately they were able to get it shipped out and it made it to SHOT Show […] Read More … The post [SHOT 2019] SB Tactical’s Prototype SBA4 Stabilizing Brace appeared first on The Firearm Blog. 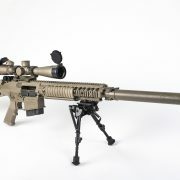 Barrett has taken the 5.56x45mm REC7 rifle and upgraded it to a 7.62x51mm package which is now the REC10. The REC10 was a product development of a foreign military solicitation program in which Barrett was successful in acquiring and winning. We don’t know what exact country this was, but we should have more information on […] Read More … The post [SHOT 2019] Barrett’s Entry into the 7.62 Field: The REC-10 appeared first on The Firearm Blog. 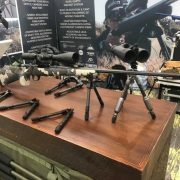 In this episode of TFBTV’s SHOT Show 2019 coverage, Brannon LeBouef talks with Roy from Brownell’s about their new BRN-180 which is their classic take on the Original AR-180 and the new “sexual chocolate” that they call the BRN-Proto to mimic the prototype serial number 0001 AR-15. 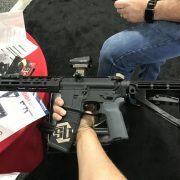 ««« PATREON GIVEAWAYS »»» Go to http://tfbtv.gun.team for […] Read More … The post [SHOT 2019] BROWNELL’S Goes Retro with BRN-180 and BRN-Proto appeared first on The Firearm Blog. Diamond Select Toys has announced the Bruce Lee D-Formz PVC Figure Assortment . These PVC figures pack a 3-inch tall punch. Inspired by the life and looks of Bruce Lee, this blind-boxed series includes five different designs, plus two rare, one-per-case variants. Designed and sculpted by BigShot ToyWorks. Look for them to be released this summer and to run $7.99 each. In a recent piece by Hrachya for TFB, he took a look at a French-made flintlock pistol-lantern combo. I was intrigued by the concept and dug a bit deeper. Here’s some more info about the design and its creator. This unusual contraption was invented by a Frenchman named Edme Régnier (1751-1825). 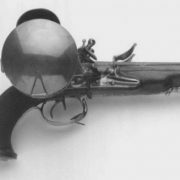 The design is unconventional, […] Read More … The post More on Edme Régnier’s Gun Lantern appeared first on The Firearm Blog.